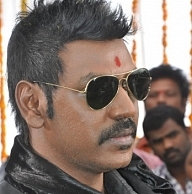 Actor-Director Raghava Lawrence seems to have had an unsavory experience at the holy premisis of Tirupathi. The star was visiting the temple with his mother, wife and children. As they neared the deity for dharshan they were supposedly physically nudged by the temple volunteers who are known to discharge their duties with great vigor, uttering the words ‘jaragandi,jaragandi’. Lawrence reportedly got angry with the volunteers and got into a verbal tussle with them. He later addressed the media people and said that his mother had just recovered from a surgery and that the volunteers had been insensitive to her age and pushed her, resulting in her falling down. He said this sort of man-handling was unacceptable and thus he was infuriated. He also quoted the incident when Sri Lanka’s premier Rajapakse visited the same temple and he was given a red carpet treatment, but they couldn’t empathize with senior citizens. Anirudh Becomes Part Of The Franchise ! Why Taapsee And Not Lakshmi Rai?